My name is SIRISAP Tanyapat. I like going outside and gain many useful things all the time. I was born in Thailand and lived there until I was 22 when I firmly decided to go abroad alone as an exchange student at Saitama University. Once I took the first step inside this university, my life and my visions changed positively. How and why it became like that will be told here, starting from my life as a STEPS, (i.e. Short-Term Exchange Programs of Saitama University) student to life as a graduate student life now. From October 2009 to September 2010, I was granted the JASSO scholarship to be an exchange student here when I was a student at Chulalongkorn University, Faculty of Arts, majoring in English. I took Japanese class held by International Students Center in elementary class then moved to intermediate class in the second semester. Japanese classes here made me love Japanese more and more. Apart from Japanese class, I took 2 STEPS program classes (Intercultural Communication II and Modern Japanese Society) taught in English. Activities outside school improved my Japanese naturally. I volunteered as an English teacher for Japanese children and elderly people. I practiced both languages and met a lot more Japanese people. I learned Japanese culture via several programs participated. 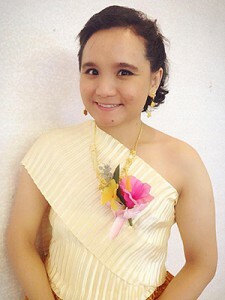 At the same time, I taught Thai culture and showed Thai dance to foreign people. To tell the truth, my daily life in Japan in the first period was full of studies, activities and travelling which were memorable and wonderful experiences I will never forget. Going back to Thailand in September 2010, I went back to the university for one more semester to graduate. I worked in Thailand for one year and a half. During that time, I thought of furthering my studies abroad. I tried to take Japanese Government Scholarship Exam recommended by Old Japan Students Association in Thailand. Saitama University is the school I intended to come back. Thanks to my Japanese language lecturer here, I finally could come back to Saitama University to do a master’s degree. The second time at school was totally different from the first. From April to July 2013, I was a Japanese language training student. The academic advisor recommended me to take 12 non-credit courses in order to strengthen my Japanese. It was tough but taught me to keep reaching my goal. I met new international friends in every class taken who are Japanese, Korean and Chinese and who supported me always until I was used to my new environment. Although they were non-credit classes, I had to submit reports, make presentations and took parts in class discussions. From October 2013 to July 2014, I was a research student. Similar to the first semester, I took 15 non-credit classes in total. Not only classes, I thought about my perspective graduation research theme. Having read a lot of academic papers for a while, one day, I came up with “Japanese for Medical Purposes”. Nowadays, Japanese people in Thailand usually go to Thai private hospitals where there are “Japanese Medical Services” department. I think that in medical treatment, if the communication is not done smoothly, it is risky to patients’ life. Therefore, I am interested in “Medical Language and Communication” since then. I became a graduate student at the Graduate School of Cultural Sciences, majoring in Japanese Language Education from October 2014 until present. However hard I study, I often take part in some activities (Home Stay Program or Kabuki Performance Show) recommended by Saitama University Office of International Affairs and Asia Japan Alumni International (ASJA) of which I am a member. I regularly participate in educational or academic activities to apply to my major. I teach Conversational English to Japanese working people for about one year until now. 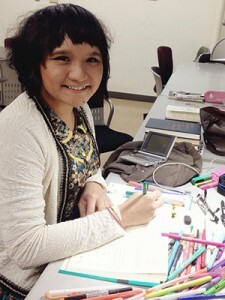 After graduation, I planned to go back to Thailand to teach Japanese and other foreign languages to Thai people. However, I’d like to try some jobs relating to language, communication, interpretation, translation and writing jobs. Many Japanese books are worth being translated for Thai people thus taking interpretation and translation courses sounds interesting. Also, I’d love to do some researches on linguistics and education. The more I learn here, the more I think that language and education is important to human life so I will gain academic experiences here as much as possible until going back. I have been a Saitama University student for around two and a half years. It is too short but every moment, every day while I am here, I do not spend time wastefully at all. Saitama University teaches me to live and study abroad by myself. Saitama University supports me to widen scopes of knowledge without end. Saitama University gives me chances to show Thai good culture and learn Japanese culture. Everything Saitama kindly gives me can be adapted to my life. That is the reason why I am proud to be a student here and proud to tell everyone that I love this Saitama University from the bottom of my heart.